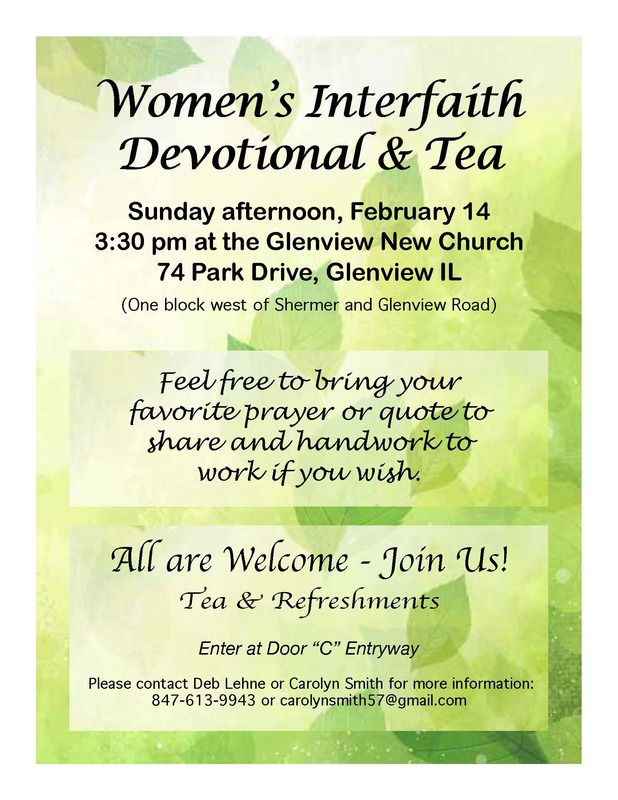 Sunday afternoon, February 14 at 3:30 pm at the Glenview New Church, 74 Park Drive, Glenview IL Feel free to bring your favorite prayer or quote to share and if you wish, share why it‘s meaningful to you. All are Welcome. 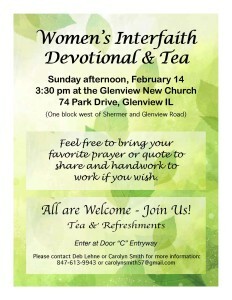 Please join us for prayer, tea & light refreshments.